Are you desperately searching for hot new services or gadgets to take your business to another level? Are you spending infinite hours scoping out what your competitors are doing, rather than meeting client needs? Are you always hatching a new scheme using coupons and discounts? The reality of the get-rich quick plans? They don’t work most of the time. In fact, businesses that use this strategy tend to fall even further behind. If you are starting to panic about how and when traffic will start to walk through the door, it’s time to roll up your sleeves and refocus on business fundamentals. What makes you different? What keeps clients coming back? Once you identify what makes you unique, ensure it is evident throughout the entire practice, and be sure all marketing and team communication reflects your brand. Are you working harder at gaining new clients while your existing clients are failing to return? Do you offer the best pricing to the new client, rather than your long-term, loyal clientele? Think very carefully about the type of consumer who is always searching for the cheapest price. Author Stuart Wilde said, “The more you charge, the more people respect you. If you do things on the cheap, people tend to find fault with what you do.” Fact: Someone will always be cheaper than you; don’t chase a declining profit with zero loyalty. Know who your VIPs are and treat them accordingly. Having retention tools that can offer you specific measurements is a must. Amenities—yes, it’s about the chocolates! Go the extra mile. Create an experience and make each and every client feel like they are on the top of the world. Is your wow-factor well-known? Or is your service list so long that no one is quite sure what it is that you do? Delivering outstanding customer service sometimes requires focus on fewer options. Key in on the services with the highest return rate for your business. Develop a service sales static report, arranging services—starting with most booked. This format helps businesses recognize the services that should be edited off the menu. By pruning dead treatments, you can focus on the services that are helping your business flourish. Once you’ve identified those services, be the absolute best at delivering them. The ultimate goal of your website is to create a connection with new and existing clients. You can convert fans into clients through education and content. Use the site to teach clients how you can help them with information related to your services. Often, potential clients may follow you online for months before actually coming in, so be sure to capture visitor information, including e-mails. Finally, every page on the website should have informative content for easy social media sharing. Understanding your own business personality and what makes it unique enables you to create a business with a strong foundation for success. Remember, no one can ever compete with something that only you have. Exploit your specialty through customer service and let your clients do the work for you. 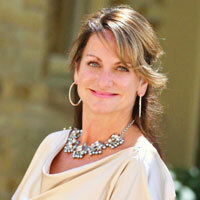 Lora Kassaros is the practice manager for Dermatique Medical Spa in Geneva, IL. Her expertise is in helping to grow businesses with dynamic marketing programs designed to increase revenue and retention.